Με την PayPal ήδη ενσωματωμένη, αυτοί οι πάροχοι λύσεων μπορούν να συμβάλουν εύκολα στην εύρυθμη λειτουργία και την ανάπτυξη της επιχείρησής σας, παρέχοντας λύσεις ηλεκτρονικού εμπορίου, οικονομικής διαχείρισης και πολλά άλλα. PayLane is an online payments provider. We help e-businesses accept online payments as smooth as possible and anywhere in the world. Shoplo is the ultimate platform helping small businesses sell globally by offering three powerful tools: an online store, multichannel selling and customer support. Online service provider intermediating the transfer of payments between a Customer and a Beneficiary. The service makes it available for Customers to use various methods of payment, accepts Customers' payments to its accounts, confirms effected payments and transfers them to Beneficiary’s accounts. 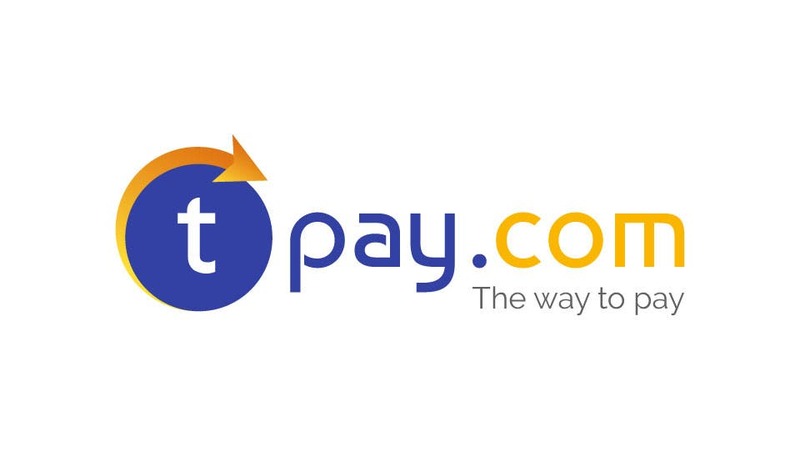 tpay.com is an online payment system enabling fast and convenient internet payments. Provide your Customers with numerous payment channels: bank transfers, credit cards and the widest spectrum of other payment methods. Aaron Group was founded in 1998 and is a global player in the travel industry and defines technological solutions. Key features include: Availability calendars, use of multiple points of departure or use of fare families. ARTIO is a software company, which is specialized in two major areas: implementation of open-source projects for individual customers including development of extensions for these systems, and custom development and programming. ATCOM is a Greek digital business agency and a consulting & business transformation partner. They have created 3k+ digital projects in retail and trade, telecommunications, banking and finance, energy, consumer goods, tourism and mass media. Atnet Communications S.A. is a Greek company that has been active in the interactive marketing and communications sector since 2001. They specialize in the following areas: webdesign, online marketing, new media. BIG FISH delivers simple and creative solutions to complex e-commerce businesses. They provide access for 20+ online payment methods, as well as consulting services. Bohemiasoft is a company from Czech Republic creating e-commerce websites. It offers 9 basic features, 17 products, 8 delivery features, 12 payment methods, as well as multiple marketing, import and export, modules, seo and statistics solutions. Bold is a Polish company that creates Magento™ e-commerce solutions for brands and retailers. They have been active for 7+ years, delivering e-commerce solutions in Poland, the USA, Germany, Ireland, Switzerland and Australia. Clover Shop is e-commerce software to be installed on the website. Its features include mobile compatibility, retina-compatible product images, predictable product search, formatting, electronic withdrawal form, and customer e-mail center. Comarch is a stable, experienced provider of innovative IT solutions for multiple industries, including telecommunications, banking, financial & insurance companies, airlines, petrol stations, utilities, healthcare and SMEs. Converge ICT Solutions & Services, founded in 2006 is based in Greece. It specializes in Project Management, Software Development and Consulting. Converge offers services in the area of the Web, focusing on e-Commerce, web development and Online Marketing. Cybergenics is a provider of solutions for e-commerce websites. It offers solutions such as operation of e-shop, electronic sales records, GDPR, linking online and offline worlds. Dotpay is a company from the MCI EuroVentures portfolio, an acquirer specializing in e-Commerce payments. Their product portfolio includes: fast transfers, payment cards, Masterpass, BLIK, currency payments, mobile payments, online installments, and e-wallets. GoPay is a Czech payment gateway with 7k+ customer base. It provides 55 payment methods (Credit cards, Online Banking Payments, Bank transfers, Electronic wallets, Other) with 9 different currencies. Maksuturva is a Finnish company offering first-class payment solutions for web stores operating in Finland and internationally. It provides support for companies and private consumers. It focuses on commerce field, e-business, banking sector and IT. Paytrail was established in 2007 and since then has gathered 10k+ customers (webshops and online services). They provide their customer with services such as: payment gateways, accounts, analytical tools, security systems. Sote is a Polish company offering software allowing its customers to open an online store, to design it and manage its results. The features provided by Sote allow adding products, offering method of order placement, building customer database, purchase add ons. SuperFaction is online app that allows to create online invoices, proformas, price estimates, orders, delivery and credit notes. It allows to accept payments online, organize stock management, send electronic invoices online, or via hybrid post. UNAS Online offers two major services: Linas Hostings: crating domains, site storage and management, administration of websites, SSL options, and Linas Shop: opening a webshop, data connectivity, data security, and many more. WebShop-Experts Ltd. was founded in February 2006 with the aim of helping Hungarian small and medium-sized enterprises to exploit the potential of e-commerce. Their services include: Ergonomic and graphic design, Search Optimization, Counseling and consultation, analyzes.